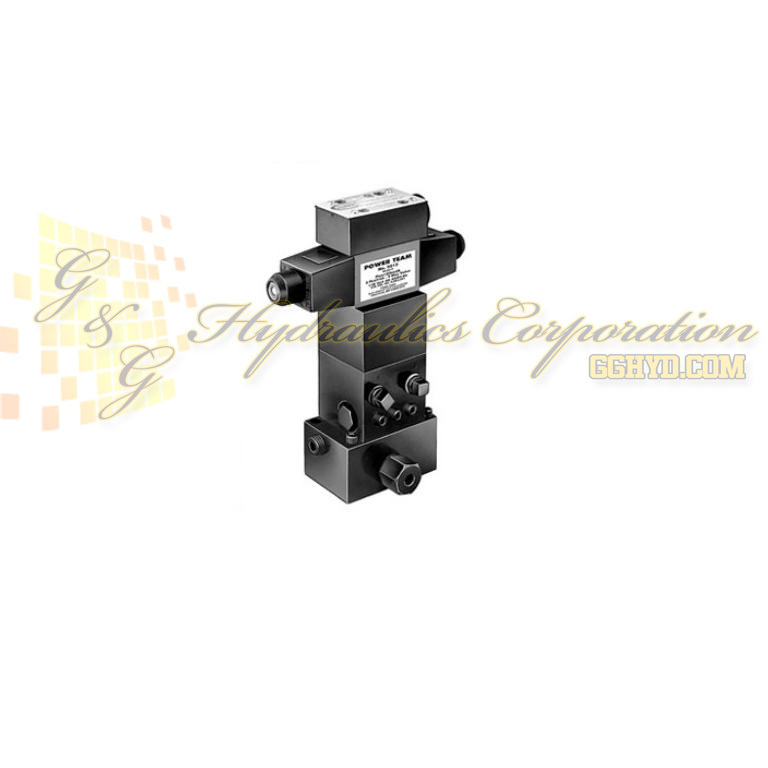 Part #9513 SPX Power Team 4-Way, 3-Position Pilot Operated Solenoid Tandem Center Valve 115 Volt, 18.1 lbs. Functions – "Advance," "hold" and "return." The Posi-Check® feature holds the load when shifting from the "advance" to the "hold" position. Used on these pumps – PE17, PE21, PE30 (with carrying handles removed), PE46, PE55, PE84, PE90, PE120, PE200, PE400, PQ60 and PQ120 series. IMPORTANT: Conversion kit 251528 must be used when mounting the 9609 valve on PA17 or PE17 pumps. For valves 9513 and 9519, order four 11956 cap screws.